Shane Bradley Johansen, a LifeLab Associate, practices as a leadership coach. He holds a Professional Masters Degree in Work Based Research: Coaching from the University of Middlesex (UK) and a Bachelor of Arts Degree in Theology (USA.) He is a practitioner member of COMENSA and was previously the Vice Chair of the Western Cape Chapter. He has experience at various levels within a variety of industries including, IT, Recruitment, FMCG and NGO sectors. These qualifications and broad range of experience, coupled with 8 years of working with corporate and SME leaders has allowed him to become a respected leadership development specialist delivering results. 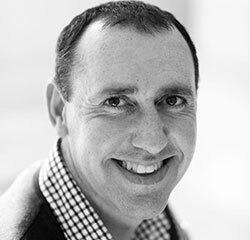 Shane believes unlocking human potential, helping his clients to harness their inward uniqueness and realise a meaningful expression of who they. He helps his clients to add value through building partnership that create results. Shane supports his clients to engage their creativity, learn from experiences and to be of service to others. Shane is committed to supporting authentic leadership behaviour in his clients whilst helping them to design and live a life of significance. His coaching is valuable for clients wanting to exploring their purpose in life and work, thereby helping them to gain new perspective and navigate complex decisions. Shane is committed to ethical practice as a coach, and actively works to build a supportive coaching relationship. His success as a coach is helping his clients to live their best life!